Thanks to Trisha Wooldridge, a fellow member of Broad Unvierse (women who write science fiction, fantasy, and horror), I read this interesting post on whether the same manuscript written by a male versus a female would be considered more seriously. I offer my readers the link, and wonder if this experience is “typical” or a fluke. I hope this author’s experiences were just a fluke, and the world of agents and publishers is as even-handed as I try to be when editing an anthology. For your consideration: Homme de Plume What I Learned Sending My Novel Out Under A Male Name. You decide to write a book, and do so. Hooray! Now, the next hurdle is its publication. I read an interesting article which brings up things a writer should think about before their book is published. Getting the manuscript in its best form, hardcover or softcover, upside and down of searching for a traditional publisher, distribution, etc. are covered. What do you think of Seven Questions Writers Should Ask Before Publishing? “’Do I need an agent?’ I hear this question frequently from aspiring authors, many times with a tinge of fear in their voices that I might say yes. Agents mean having an expert on your side to get you noticed and to assist with negotiations. But they also mean adding one more gatekeeper to the mix. Can’t you get your book published without one? That depends on which publishing route you choose, which genre you write in, and which publisher you approach. Nonfiction writers have a slightly easier time getting a publisher without an agent than fiction writers; if you are writing fiction, you will almost certainly need an agent if you want to go through a publishing house. While some university presses and small publishing houses are open to unagented manuscripts, they are becoming fewer and farther between. The so-called Big Five publishing houses—which include Hachette, HarperCollins, Penguin Random House, Macmillan, and Simon and Schuster—don’t accept anything without an agent. Each of these companies owns a dozen or more imprints that have their pick of books to pursue, and agents serve as a filter for the thousands of books that are submitted to them. But what if you don’t want to work with an agent? You’re determined to find that small press that is willing to work with you as an individual. You don’t want to add the six months or a year that it can take to find an agent before you even reach a publisher, and you don’t know what the point of an agent is anyway. You are going to approach publishers directly. This is a viable option, and one that has worked well for many authors. But before you rule out agents entirely, you should know what signing with an agent means for you. ‘Generally speaking, an agented project will be picked up or rejected by most publishers within two to three weeks of submission,’ write Susan Rabiner and Alfred Fortunato, authors of Thinking Like Your Editor: How to Write Great Serious Nonfiction—and Get It Published. That’s compared to six months for a response for unagented works. Agents get your book noticed, and they get personalized responses. This kind of attention can speed up the acquisitions process considerably. There are many other pros and cons as well, as shown in the following list. Beyond the cons listed here, fear of rejection seems to be one of the biggest holdups for aspiring authors. For whatever reason, it is less scary for many authors to skip the agent and go straight to the source. The decision is yours to make, but I have always felt, what is the harm in testing the waters? Your ultimate goal is getting your high-quality, highly marketable book in front of readers, and an agent may be able to help. Pinpoint the agents most likely to be interested in your work and see what happens. Maybe agents aren’t interested in what you have to offer. But you might be surprised. If agents respond to you, you can decide from there whether you want to pursue the professional relationship. If no one responds, then you have more information about the amount of work you need to do to self-publish or to find another route. And while you are doing that, you can continue writing and polishing your manuscript. Katherine Pickett is the owner of POP Editorial Services, and the author of Perfect Bound: How to Navigate the Book Publishing Process Like a Pro from www.HopOnPublishing.com Since 1999 she has edited more than 300 books in a wide range of topics and genres. 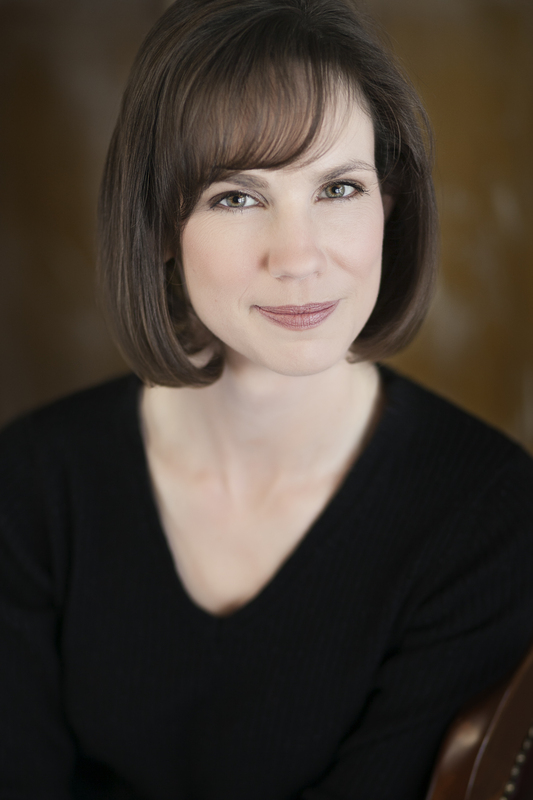 She is an active member of the Editorial Freelancers Association and the St. Louis Publishers Association, and is president of the Montgomery County chapter of the Maryland Writers’ Association. Want to discover more about Katherine Pickett and Perfect Bound? Visit her blog and follow her on twitter. 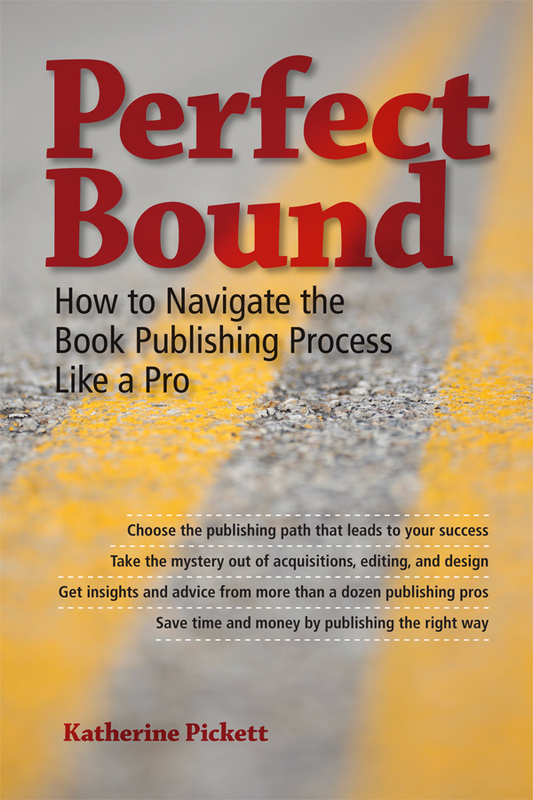 And you can purchase Perfect Bound: How to Navigate the Book Publishing Process Like a Pro on Amazon. Balticon 2011 was a wonderful experience. On Friday, the publisher of The Greener Forest, Cold Moon Press, had a publisher’s presentation where Editor Katie did a fabulous job: http://coldmoonpress.com Cold Moon Press had so many cupcakes, cookies, and other goodies prepared for attendees, that I took the extras to the Broad Universe Reading. On Saturday, I shared an early morning booksigning time with novelist Leona Wisoker, and invited her to read with me during my afternoon reading slot. 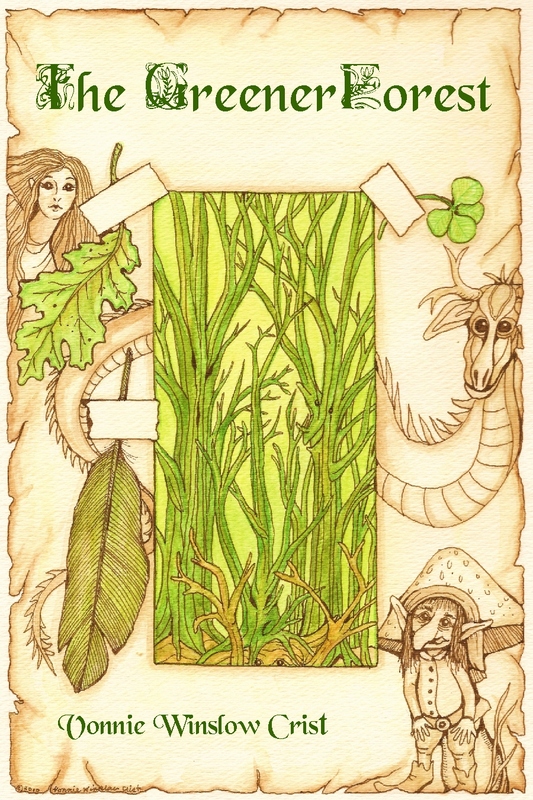 (She kindly agreed, and shared a few pages of her 2nd novel, Guardians of the Desert). We followed friends, Katie Hartlove & Michelle D. Sonnier. Great fun & a nice audience. I also participated in an Artists & Publishers Small Press Round Table that was relaxed & informative. A group of us went to dinner afterwards, including Balticon regulars writers Grig “Punkie” Larson & Jhada “Rogue” Addams. On Monday, I managed to attend 2 more presentations that featured folks from Ridan Publishing. Robin was sick, but her authors did a great job. Look for me to apply some of the lessons I learned from them in the future. Also, I was the moderator for a panel on Cardboard Characters. And I got a few compliments on the maze I’d drawn for The BSFAN, the con’s program book.